Your home is many things all that same time. It’s the place you live, it’s the place that protects your family, and it’s often also an investment one which grows in value and adds considerably to your assets if you take care of it. However, the value—and subsequent increase in value over time—of your home is only a given if you take care of it. Plumbing is one of those areas where a home can greatly benefit, but most people don’t think about that. When they think of plumbing services, they think of leaky pipes, or maybe a blocked toilet. However, plumbing is about far more than just coming in when things go wrong. 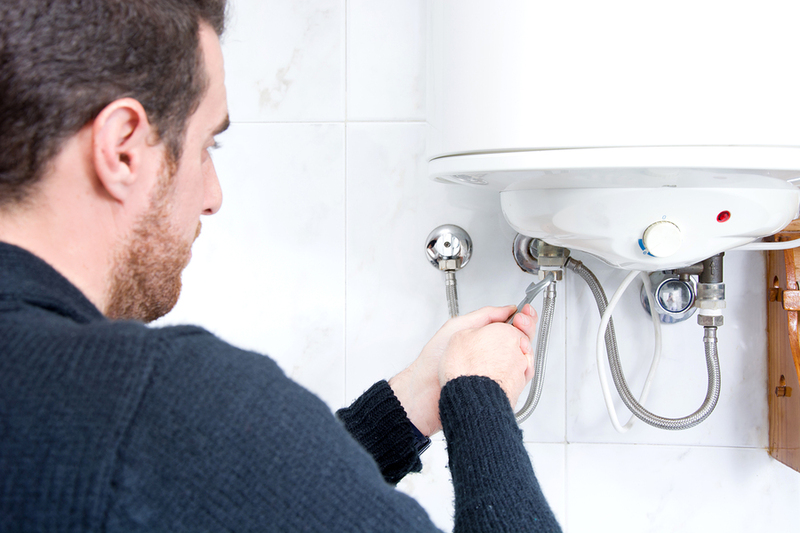 While a good plumber can certainly help you out in an emergency, plumbing services can improve your home in many ways. One of the biggest threats to any basement is water damage. While flooding can do rapid damage to a basement, and even pose a health hazard, depending on location and construction, a basement can regularly face a certain amount of water seeping in after rain. A sump pump, combined with strategic basement waterproofing is one of the best ways to protect a home against this kind of low-level water penetration. Sump pumps, as the name implies move out the water before it can soak into the basement. If a plumber tells you your basement could benefit from a sump pump installation, this often means that now you can reclaim this space, and even finish your basement without worry about water damage to drywall, rugs or carpeting on a regular basis. The vast majority of homes enjoy hot water for baths and washing, but how old is your water heater? Whether it’s electric or natural gas, you pay money every time your water heater needs to activate to warm up water for your home use. If it’s not efficient, that means that you’re paying more money every month than you need to. If your water heater is over 30 years old, for example, and you find that it runs out of hot water faster than you’d like, you may be doing yourself a favor with a replacement. After all, a new, bigger, more energy efficient water heater isn’t just more convenient for you; it can add value to your home if you ever decide to put it up for sale. Maybe you’ve just bought a home that has been well loved, well used, but largely untouched, for 40 or more years. You might find that while the kitchen has a faucet and sink that work, you’d like to bring a 21st-century touch to it. Plumbing services can be crucial in modernizing a kitchen by bringing in the conveniences that you want, like a dishwasher, garbage disposal, or even an ice maker. All of these items require the knowledge and careful installation by experienced, licensed plumbers, so make sure that you do the right thing for your home’s safety and property value by making sure you bring in the experts to get the job done right. © 2010-2016. Cardigans Kitchens and Baths.